Wulf is one of my favorite science history writers – not least because she always manages to combine language and science, nature and poetry—and Humboldt is a perfect subject for her. 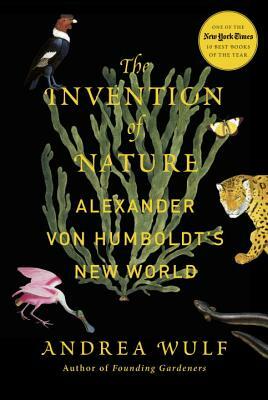 With this engaging biography, Alexander von Humboldt is brought to life in all his “chased by 10,000 pigs” glory. Wulf reminds us with vibrancy why we should still care about Humboldt today (alongside some great cameos from 19th century characters of all kinds): climate change, plate tectonics, South American revolutions, the idea that nature is an interconnected web.